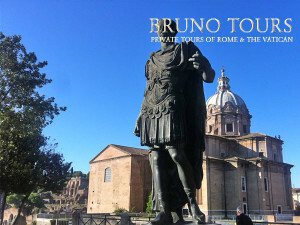 Come with me to see the most significant monuments and places in Caesar’ life. He is the most famous ruler of all times! His influence was so big that our month of July was named after him as well as the german Kaiser and the russian Czar. I will take you to the Suburra, the district of Rome where he lived his young years. We will see the Forum that he built when he became dictator, the temple dedicated to his divine ancestor Venus, the court houses where he worked as lawyer that he later restored, the political platform where he made the most famous speeches, the Senate house that he enlarged and renovated, the altar where his body was cremated and the exact spot where he was assassinated!!!. You will learn about Cleopatra, Mark Anthony, Augustus, Brutus and all those people that surrounded Caesar. You will feel participating to I century Roman society and eventually find out if you would have been one of Caesar’s supporters or opponents. 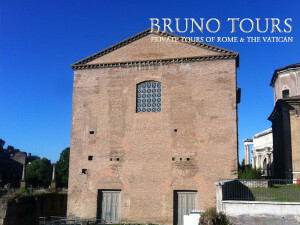 What is includes: Senate house, Largo Argentina, Capitol Hill, Temple of Venus, Caesar’s Forum, Altar of Caesar, Rostra, Basilica Iulia and much more. Dressing code: Comfortable, you will be walking on lava stone! Bring a bottle of water with you and a hat in the hot summer days.